Are you a busy mom in need of Elf on the Shelf ideas? You and every other mom on the planet, right? The Christmas season is undoubtedly the busiest time of the year, and now with the unavoidable popularity of the Elf on the Shelf , the entire month of December is busier than ever. Ask any busy mom about their wretched beloved elf, and you’re likely to get an eye roll, a look of commiseration or a look of pure disgust. Why do we keep torturing ourselves year after year with that friendly scout elf? Because our kids adore him. We adore our kids. Therefore we are stuck with the Elf. It’s magical. It’s exciting. It’s fun (for them!). This year, I want you to actually enjoy your elf. I want you to feel ready to tackle 25 days of elf shenanigans with these awesome Elf on the Shelf ideas. 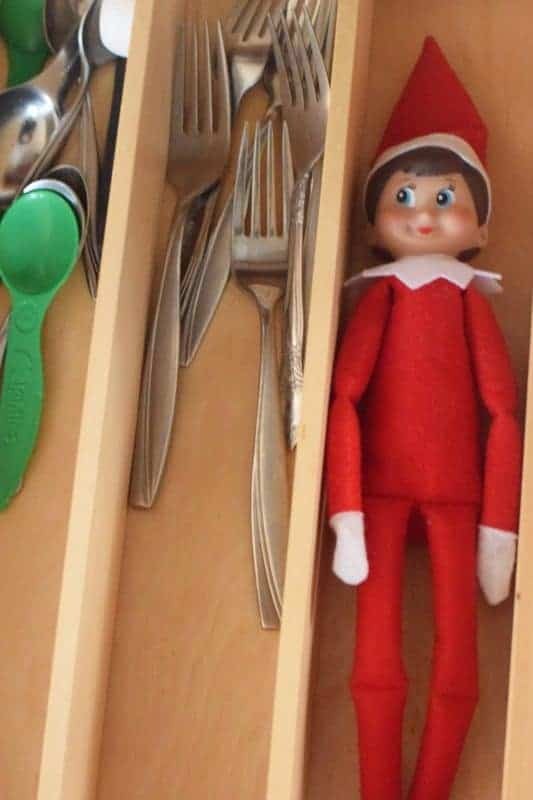 I want you to KILL IT, Elf on the Shelf style. This guide is going to give you everything you need in one spot. Seriously, you better pin this for later. I highly, HIGHLY suggest getting prepared now. 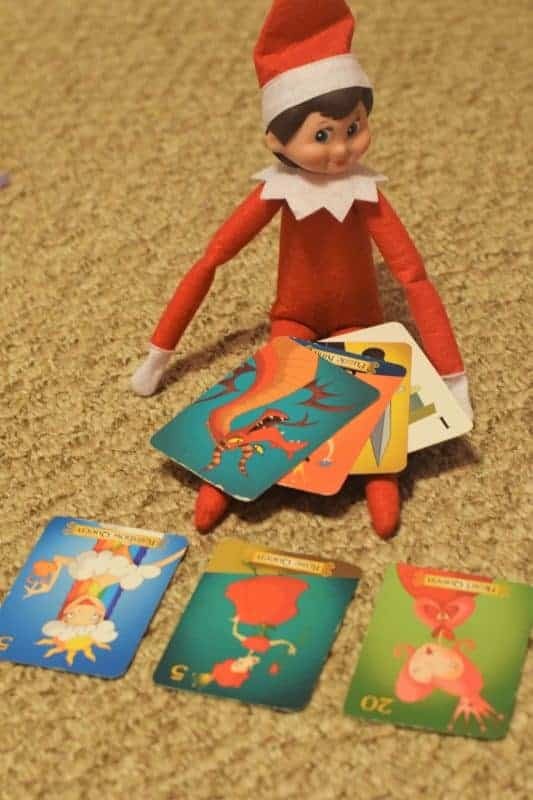 Even if you’re reading this on December 15 and your elf has been performing hijinks for weeks now, it’s never to late to sit down and create a plan. Believe me. You don’t want to be up at midnight searching for and implementing your next Elf on the Shelf idea. So create a Pinterest board, and fill it with all of the ideas that you love. Or just pin this post, because it’s ALL you’re gonna need. Then, if you’re printing anything, print it all at once. Set an alarm on your phone. That’s your reminder! Seriously, last year, I browsed Pinterest, saw about 274 elf ideas and STILL went to bed without moving her. Then, surprise! I woke up in a darn panic in the middle of the night. Worst. Nightmare. 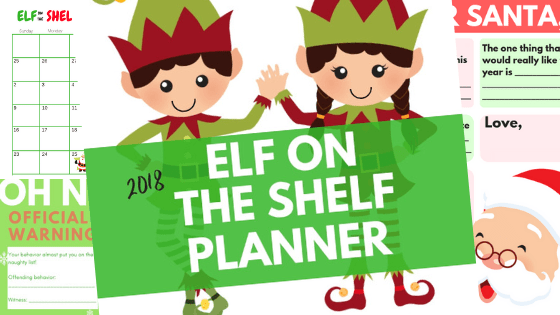 And check out my Elf On The Shelf Calendar and Planner for the ultimate organization and Elf on the Shelf fun! The first day that your elf arrives is probably the most exciting which is why you need some fantastic Elf on the Shelf ideas for arrival. 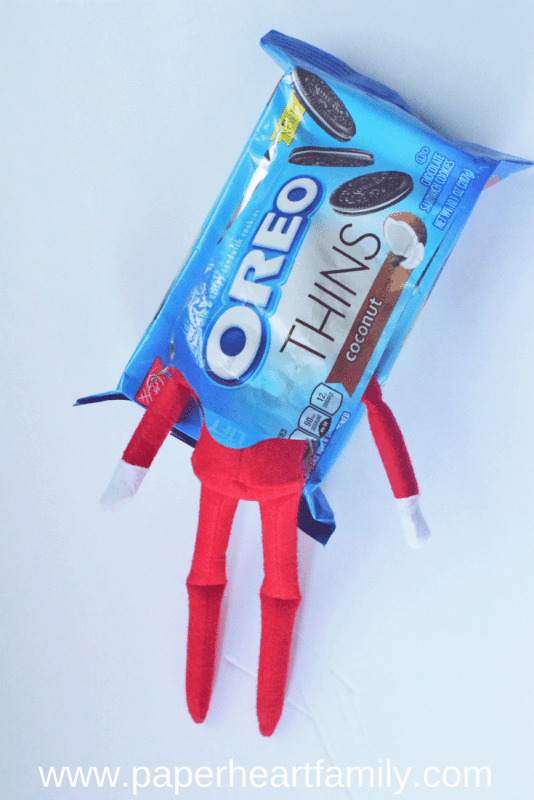 You definitely don’t want your elf just, you know, sitting on a shelf. You need to think of how you can welcome your elf back (or to your home for the first time) in an exciting way. And honestly, this is day one. The day when you’re going to have the most energy to pull off crazy elf shenanigans. 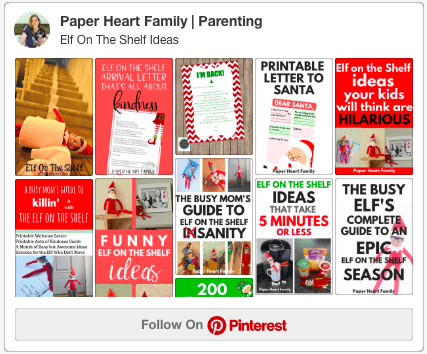 Check this post out with 14 cute Elf on the Shelf arrival ideas. Most are super simple to implement, but have a big wow factor. Whatever Elf on the Shelf idea for arrival you choose, make sure to pair it with my Elf on the Shelf welcome back letter. Your elf has officially arrived! You don’t want this name-giving process to be stressful (like naming a CHILD), you want it to be fun! So why not check out the 200 best Elf on the Shelf names. If you want a traditional name for your elf? You got it! Christmas-y? Elf-y? Funny? Ridiculous? This list has all of that and more. Here’s to finding the perfect name! 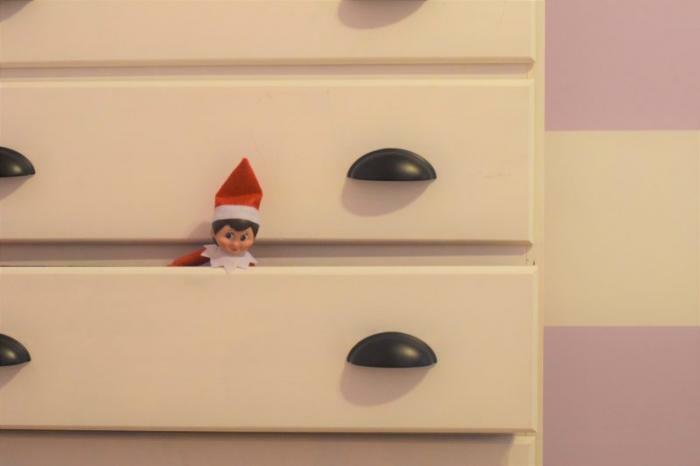 The Christmas season was busy enough, and then the creators of the Elf on the Shelf (a brilliant, ridiculously rich mother/daughter duo) decided to make it even busier for us moms. Don’t fret. 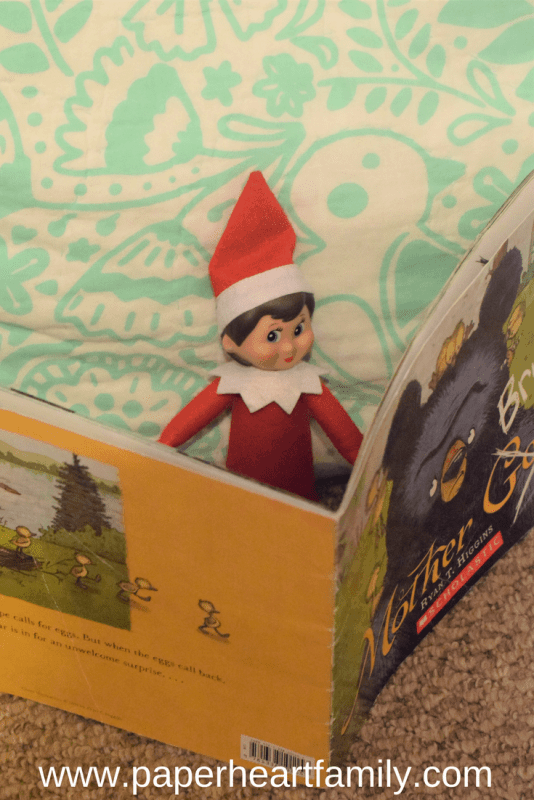 I’ve got 30 super fun, but super EASY Elf on the Shelf ideas for you. Because while there are some really elaborate ideas that are totally awesome, do you really want to spend your off-duty, mom-free time doing it? With all of these ideas, you should spend 2 minutes tops posing your elf each night. Here is my list of quick and simple Elf on the Shelf ideas (that are still high impact). PS- Know how to make this whole elf thing even EASIER? By making your elf bendable! Seriously, those little elves are not very flexible. I know I’ve spent way too much time in the past trying to position my elf just the right way. Only to have her fall in the middle of the night. Not anymore! 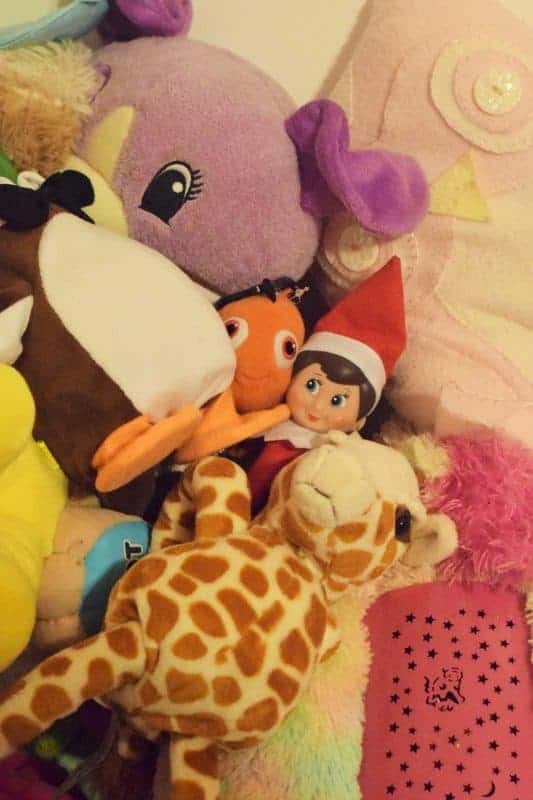 Get the rest of the 30 easy Elf on the Shelf ideas <——– here. And who doesn’t want some funny Elf on the Shelf ideas once and a while? This list is for those nights when you’re feeling a little silly. I’m sure your kids will appreciate the humor! Let’s say that you have a toddler. I’m going to tell you that Elf on the Shelf ideas for toddlers should NOT be elaborate. Take advantage of the fact that your toddler is currently amused by the simple things in life. Believe me, you will have many more Christmases in order to get all of your creative elf energy out. This year is not the time to burn out from too much elf nonsense. 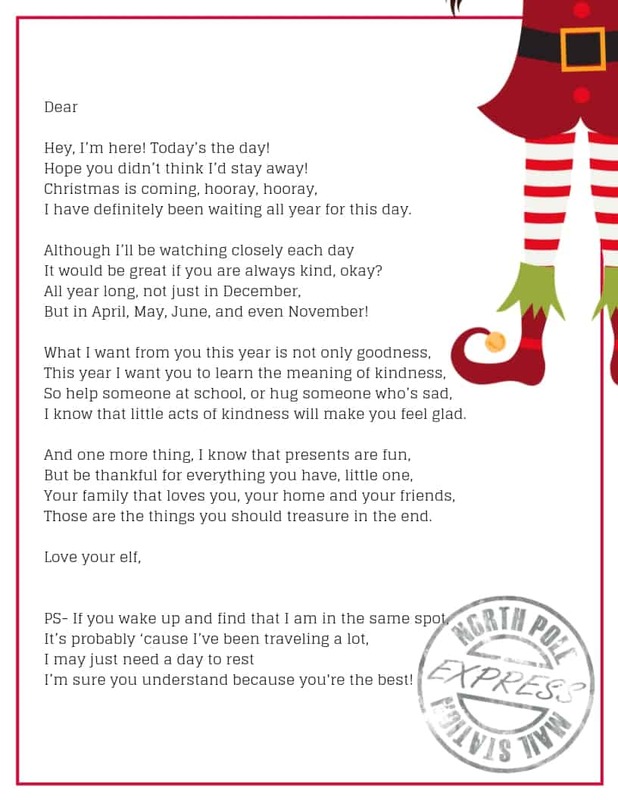 If you didn’t use my Elf on the Shelf arrival letter which tells your kids that it’s okay if the elf doesn’t move overnight, then you might need some suggestions. Keep these excuses in mind. Excuse #1- Blame it on the younger sibling. You can always tell your child that you think you saw the toddler touch the elf the day before. Excuse #2- You forgot to tell him good night and he was waiting up all night for you to let him know that you were going to bed so that he could sneak out. Excuse #3- He looks tired. Don’t you think he looks tired? I bet he wanted a break. It’s a long fly to the North Pole! Or better yet, read and pin 14 Reasons Your Elf Didn’t Move about what to say when your Elf forgets to move. (Her ideas are way better than mine). Did you ever hear of the Christmas hangover? That feeling when you have been waiting and preparing for Christmas Day for an ENTIRE month and it’s over in the blink of an eye? It can be a huge letdown. It’s the same thing with your kids. But not only is Christmas morning over and all of that excitement, but Jingles has flown back to the North Pole after weeks of daily excitement. It can be sad for a kid. Leaving your child with an Elf on the Shelf Goodbye Letter that they can actually hold will help them feel a little less let down. 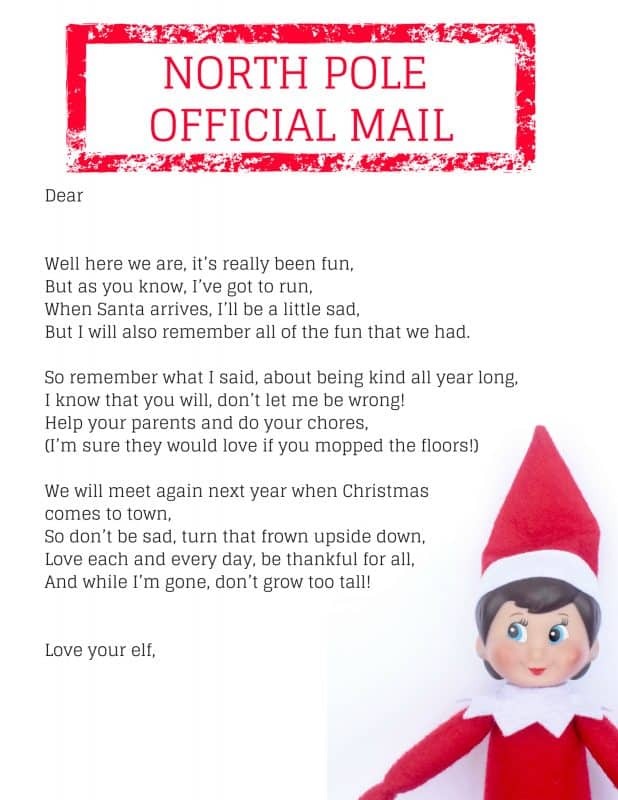 Get your Elf on the Shelf Goodbye letter <——–HERE. There are so many awesome Elf on the Shelf accessories. Did you know that you can buy outfits for your elf? Even pets! Most importantly, have fun and remember, you’re the mom, you are the one in control. Don’t let the Elf on the Shelf steal your Christmas spirit! 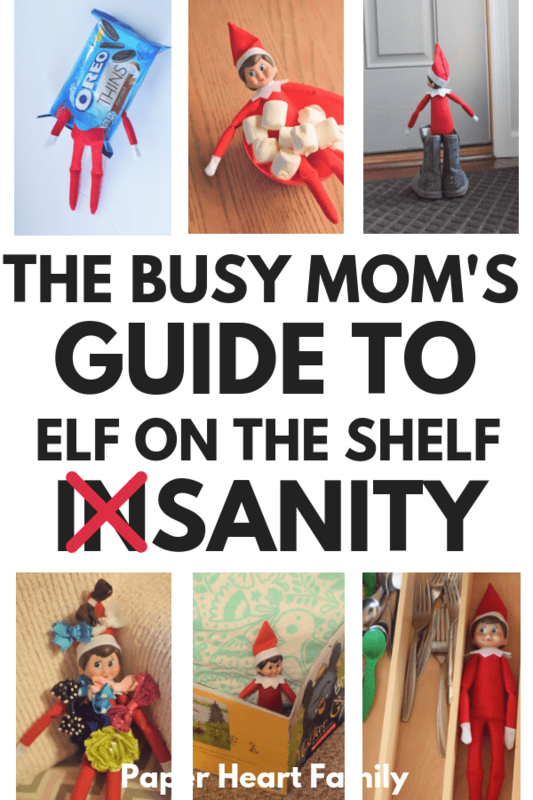 So tell me busy mom, do you love or loathe the Elf on the Shelf? What are your best Elf on the Shelf ideas? My child writes notes every night and the”Elf”writes back.This all started because her friends Elf not only moves every night but also writes them letters and leaves them treats or small gifts .I like the way she gets so excited but it gets exhausting at times.My daughter is a night owl like me so waiting on her to fall asleep to do all this with the Elf is hard sometimes .I’m glad the Internet has a ton of ideas because I ran out last Christmas lol. I hear you! My mother-in-laws elves move multiple times a day. I just can’t compete! I’m glad my post was helpful! Great ideas Brenda! My daughter’s two, so I think we are going to start Elf on the Shelf next year. I feel like I have been pinning ideas for years now. This is a great list! Thanks so much! I have a 2 year old and she loves the Elf on the Shelf, but if I didn’t have an older child, I wouldn’t have started yet. I am a primary school (elementary) teacher in the UK and I’ve just bought an elf on the shelf for my classroom this year. I absolutely adore Christmas but don’t get to do this at home, as I’ve got no kids of my own. I am absolutely loving it so far, especially how excited the kids are about seeing him each morning! As it’s a school elf, I get weekends off and I can use the same ideas each year as well, because I’ll have new kids 🙂 Thanks for these ones to add to the list! I’m a teacher as well but I teach 6-8 grade, so I’m not sure they would be very receptive! Elf on the Shelf in the classroom sounds like fun though. I’m so glad that you found my post helpful, thanks for letting me know! Hi! I am self hosted with WordPress, which is necessary if you are interested in monetizing your blog. My blog theme is probably what makes my design feel different, and that is through Pretty Darn Cute Designs. Yay, I love this post. Like one of the other commenters I’m also a teacher but I’m in Australia and I teach special education kids who are 9 and 10. I am so excited to start my elf of the shelf. I have created a list of ideas already. I think the trickiest bit will be them being able to resist touching him. Thank you so much for the comment! I love that you’re doing it in your classroom, I think it would be so fun to have a classroom Elf on the Shelf! I teach middle school… I’m not sure if they would like it or not. Love your post. Trying the boots thing tonight with his cowboy boots. AND I can’t wait to make him bendy and magnetic!!!! Thanks for the link to that Amazon goodness! 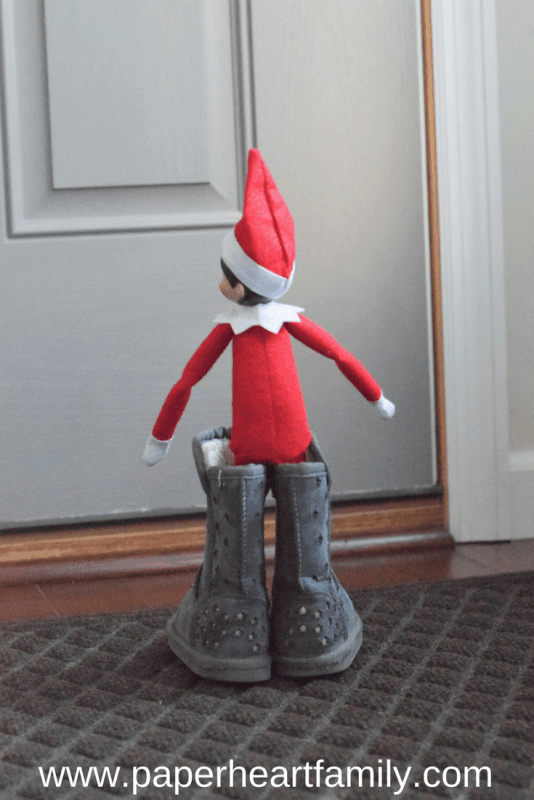 The boots Elf on the Shelf idea is SO easy but it’s definitely a big impact! 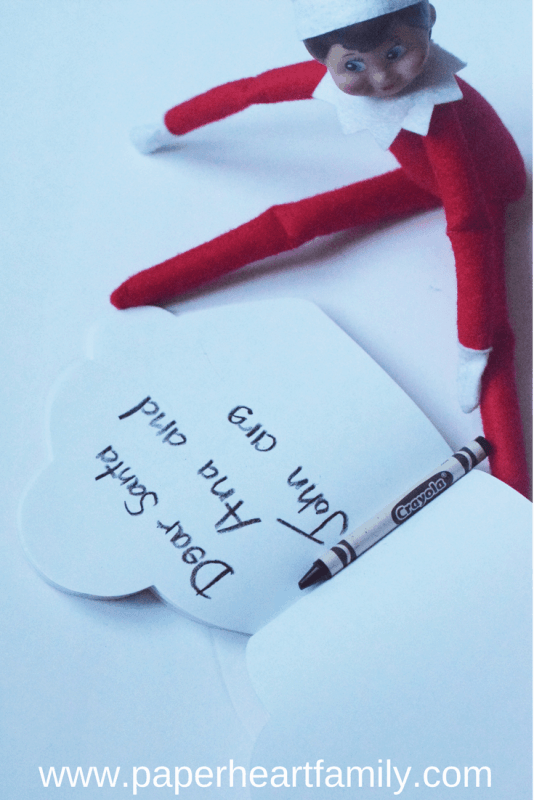 You’re going to love making your elf bendy, it makes it SO much easier. Happy Holidays!